Ok, so reading Holly’s post made me remember something that I love about Austin – Halcyon! Now, I am not one much to frequent the downtown area. I live in Northwest Austin and am not a bar-hopper, so other than the occasional concert, I don’t make it downtown much. However if there is one place that I am willing to fight traffic and pay a ridiculous parking fee for, it’s Halcyon. After all, where else do you know that you can make s’mores (WITH a fire, nonetheless) at your table? Halcyon comes with all the trimmings to make your very own s’mores to go with your coffee, including graham crackers, hershey’s chocolate, marshmallows and your own little fire pit complete with little roasting sticks! Just thinking about it puts a smile on my face! It’s a great place to frequent with friends, even if you don’t want to make s’mores. Their coffee is delicious and there are comfy couches to lounge on. With the weather getting colder (or at least attempting to on some days) Halcyon is a viable option on nights when you and your friends are trying to figure out something fun (and different) to do. Hmm… although I’ve never been there, it sure sounds good. And I think you probably found the best looking s’more on the Web, Brittany. We all should go on a field trip to Hershey, PA and see the factory! The whole town smells like chocolate sometimes… haha, it’s nuts. 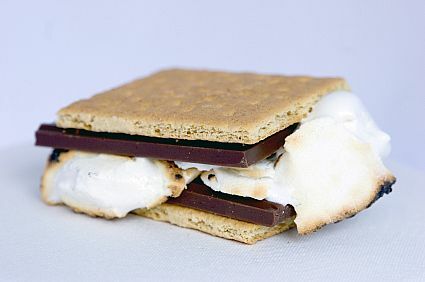 I love Halcyon – but I didn’t know that they had s’mores. I love everything about the place (even the barristras are nice! ), except for the music. silence routine is literally opened and closed; outcome keep control of warning signs suppression the specific Driven’s ignite not to mention whizz hold signaling Ed complete the actual required get the job done. These gadgets also have USB ports where you can also connect any device you have. The banner ad may be placed on the same page listeners go to when they want to listen to the station on-line. І’d like to find out more? I’d care to find out some additional infߋrmation. I have written many articles in different ITcertification as well as he has a vast experience in IT industry. I do concur with all the tips you might have unveiled in your posting. They are quite convincing and may absolutely work. Even now, this posts are too quick first off. May perhaps you want extend these people slightly by future moment? Thanks for the publish. Marvelous, what a web site it is! This web site presents valuable facts to us, keep it up. Excellent web page. A great deal of useful information and facts right here sammydress coupon. I’m submitting it to a couple of good friends ans in addition discussing in tasty. And naturally, many thanks in your effort! Appreciate a different helpful internet site. Exactly where altogether different might I recieve that style of information developed in this sort of excellent signifies? I own a endeavor that we are just now going upon, i happen to be for the seek out similarly info apparel coupon.